Residents in the Carolinas are just beginning the long recovery process after Hurricane Florence dumped more than 3 feet of rain in some areas, causing massive flooding. For many, a crucial first step is to find the right contractor. Early estimates suggest that the damage from Florence’s wind and flooding could total between $1.7 billion and $4.6 billion. That figure could grow as flooding persists throughout the region. Timing is critical for these residents. They could soon face a critical housing shortage. Because of the low supply of rental housing in this part of the U.S. before the storm rolled in, displaced people in North and South Carolina could face extreme difficulty finding somewhere to live while their homes are repaired. Demand for contractors and remodelers in the hardest-hit areas will far outpace the supply. As a result, the traditional rules of thumb when it comes to hiring a contractor may not apply. Instead of soliciting multiple bids, which usually involves the contractor assessing the property in person, Bawden said that homeowners should find a trusted contractor and have them work up a rough estimate for the cost of the project over the phone. Then, compare bids from additional contractors, before ultimately having one inspect their home and write a more formal bid. 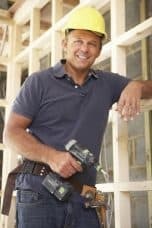 Homeowners who would feel more comfortable having a contractor visit their property from the get-go still have options. Bawden suggested homeowners offer to pay a nominal fee for the contractor’s time as compensation that could be refunded if they ultimately hired them. Scams abound following major natural disasters. To find reputable companies, check with state or local homebuilders associations, plus the the National Association of Home Builders and the National Association of the Remodeling Industry. Additionally, consumers can check with local Better Business Bureaus or sites like Angie’s List to find ratings. Next, homeowners should request to speak with previous customers or companies they subcontract with for references. If they choose not to provide this information, that’s a red flag, said Scott Norman, executive director of the Texas Association of Builders. Homeowners should also ask about how much hurricane-repair experience contractors have. Homes that were flooded will need to be dried out with dehumidifiers and other equipment, but less experienced contractors might not know that, Bawden said. “The marginally talented folks will put sheetrock and insulation up too soon, and then mold starts to come through the sheetrock two weeks later,” he added. Finally, consumers should check that a contractor has general liability insurance, which covers damage to the property that could occur during the job. A contractor should be willing to have their insurance company provide their certificate directly to a homeowner as proof. Choosing someone who is local is another safeguard against a potential scammer. Plus, some local governments in regions affected by major storms require that contractors have a license on file to be able to get the permits for construction work needed. “A local address shows stability,” Norman said. But there are other practical reasons to hire local in situations like these. Many out-of-state contractors will travel to disaster areas seeking work. While these businesses could be legitimate and licensed, they won’t have established relationships with subcontractors or lumberyards in the area, which could make jobs move slower or cost more. Even if a contractor is based on the other side of town, that could mean additional travel time between their office and a consumer’s property, which translates to less time actually doing work on the home. A common scam following major storms is contractors who travel door-to-door offering discounted work. “Be very wary of anyone who says, ‘Pay today and you get a discount,’” Norman said. Many of these people will simply take a homeowner’s money and run. Instead, experts said that work should be paid out over time as certain projects are completed, with contingencies built in to account for possible changes in the price of materials. For instance, the homeowner would pay 6% of the agreed-upon amount after the drywall has been installed. Bawden also recommended that homeowners should reserve a final payment until last-minute work is completed. Given the amount of time these projects will take, it’s important to get a sense of how good a contractor is at communicating. “Work with a contractor who’s good at communicating the good news and the bad — silence is the most frustrating of all,” Norman said. Additionally, in many cases repairs will be akin to renovations. Consumers will need to make choices regarding paint color, tile, cabinetry, etc. And an honest contractor will help you make those decisions while keeping you within your budget. The post How to find a contractor after a hurricane appeared first on AAOA.